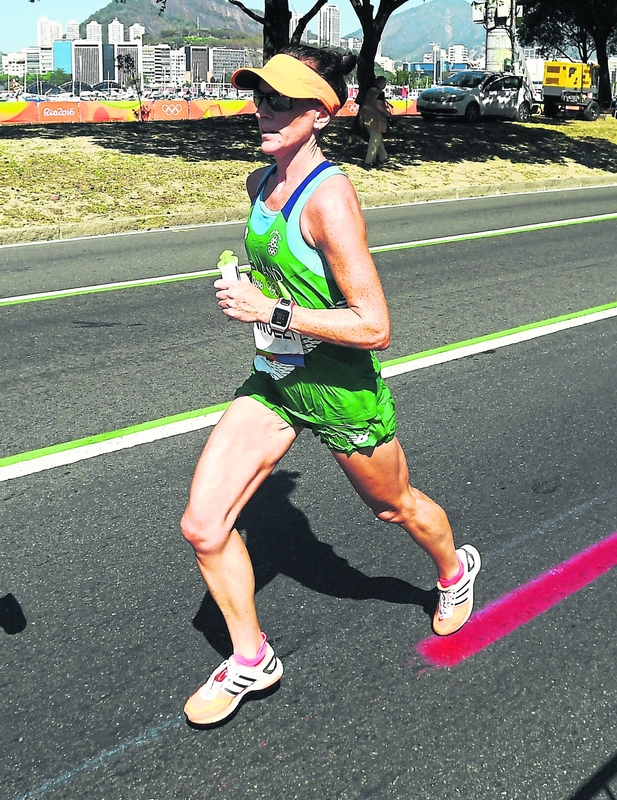 Kinlough and Leitrim will be glued to the TV on Sunday morning when Breege Connolly takes to the streets of Berlin for the Women’s Marathon at the European Athletics Championships. The 2016 Olympian takes to the streets of the German capital at 8.05 am next Sunday morning as one of the four-strong Irish women’s team and after a long build-up, Breege is very definitely looking forward to the occasion even if it is tinged with understandable respect for the daunting 26.2 miles. “I was asked the same question earlier,” said Breege when asked if she was looking forward to the Championships, “and I think when you are in the likes of the marathon, there is a nervous apprehension but I’m just glad I’m at this point in training. Preparations have been good for the City of Derry Spartans runner - “They have, I can’t complain. After selection, I did a half-marathon and I did a small personal best in that and then I ran a 10 miler in Limavady and I had a 5K on Saturday night so that is just to shake off the cobwebs. Berlin is home to one of the most famous marathons in the world and although the Europeans will be held on a different course with four laps, Breege believes it will live up to the super-fast billing the September race enjoys. “I’m looking forward to it but the course is different to the Berlin City Marathon. I think it will be four laps but there are certain things I don’t really look too much into, the weather is one, the course is the other but I believe it is flat and I think the four lap course is for spectator and television purposes. “We will have a briefing meeting on the Saturday and it is just about keeping off your feet and saving your energy. It is not like you can go to the Stadium and get engrossed in it when you have a race looming over you. Preparations have also included sleeping in a heat chamber to help stimulate the warmer temperatures while the searing Irish summer has had an added benefit for this marathon runner. “I’ve been using the heat chamber to get used to the heat over there in Berlin and they really knock you out at bedtime so I can’t complain. And the Irish women’s team will be helping each other on next Sunday - “They have been very supportive to me. When it comes to times and placings, Breege will look to the course and the conditions first - “Hopefully I will draw on my experience in Rio on the day. So it is just about getting stuck in, remaining composed and don’t let the nerves eat away at you for the last week. “I started my tamper last Sunday week and it was just a wee tiny bit of quality and the mileage has gone away down just trying down to freshen up. In all honesty, I haven’t really chatted with the coach and it is more that we will get over there and see how things are, see what the weather is like. “If it is looking like a reasonable day, I’ll definitely be going out to give it my best shot and that is what I’ve always done. But whatever happens, there will be a small bit of Leitrim in Berlin cheering Breege on as family members are making the journey out - “Mum is coming again, Mummy went out to Rio, my two brothers Donal and Matt, my sister Cora and then my cousin Teresa and her husband and my other cousin Sheila so they will all be there, they are great. “I know it is a lot but they wanted to come. “They did a great job in Rio because they were over and back across the flyovers, that was lovely and you kind of knew you were coming up to them.